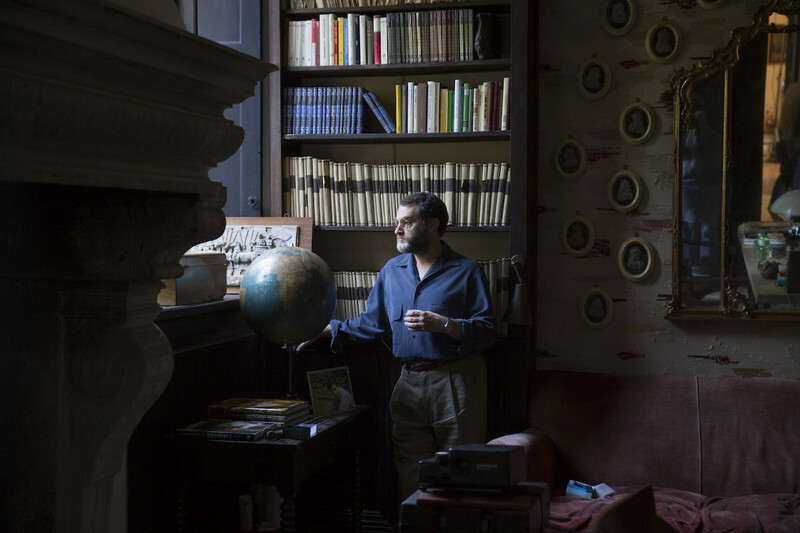 Michael Stuhlbarg has become an MVP of supporting actors, a crucial life source to numerous prestigious films that need his humanistic, sensitive touch. In this year alone, he’ll have worked with Steven Spielberg (“The Post”) and Guillermo del Toro (“The Shape of Water”), and, in the past, he has become a vital instrument for the likes of Martin Scorsese, Danny Boyle and Denis Villeneuve. 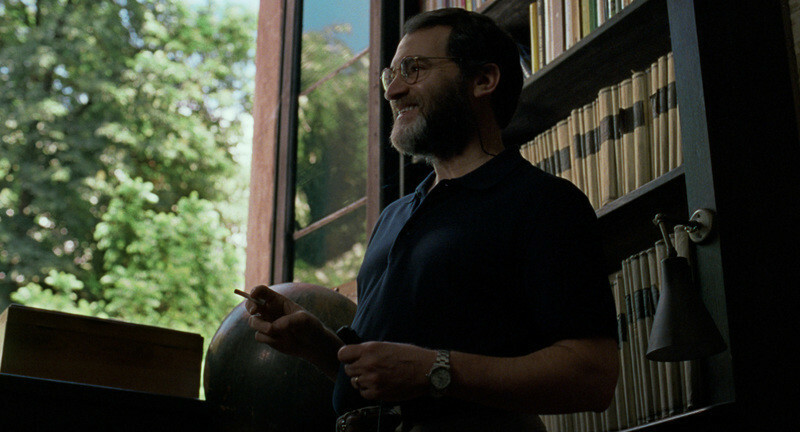 Stuhlbarg’s ability to make any amount of screen-time matter hits a high-note with his performance in “Call Me by Your Name,” a romance from Italian director Luca Guadagnino. 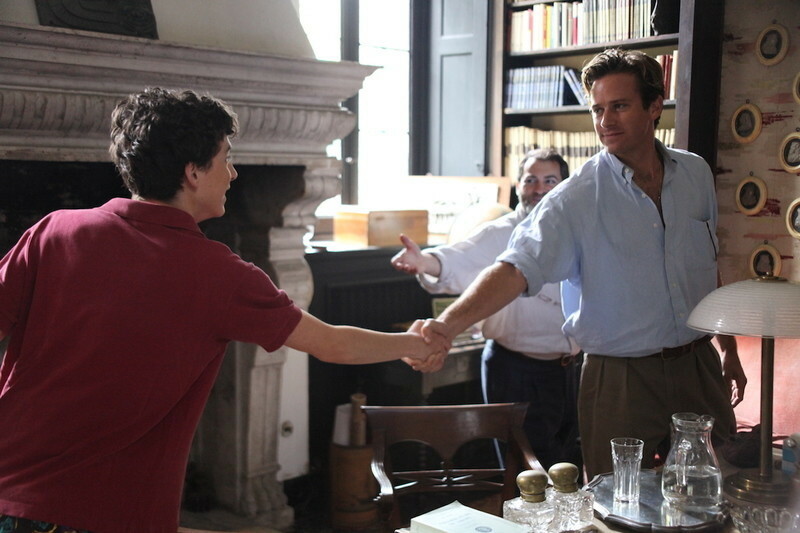 Stuhlbarg plays a professorial father who witnesses his 17-year-old son Elio (Timothee Chalamet) fall for an older man, a teacher’s assistant named Oliver (Armie Hammer), over the course of a summer in the Italian countryside. After the two young men have an experience that changes them both forever, Stuhlbarg’s character provides a monologue that has the ability to fill your heart to its breaking point, adding to the haunting quality of this impeccable movie about beauty and longing. RogerEbert.com spoke with Stuhlbarg about his special monologue, his experience working with our greatest living directors, his passion for acting and more. The current talk about your performance in this film reminds me of how you surprised people with your 2009 breakout role in "A Serious Man." Since then, in your life as a professional actor, do you feel you’re more ingrained in your craft, or confident? Is it easier? Is it still a kind of an unstable challenge? It’s always an unstable challenge. I was wondering if you ever feel like a Larry Gopnik in the acting world. Well, it depends on the job! [laughs] But honestly, every time I get the opportunity to do something, it’s always disarming and challenging and a surprise. Sometimes the roles I get to play has some resonance with me, sometimes they have less. But over the last eight or nine years, I brought all of those experiences with me, and I hope they inform what I do from here on out. It never ceases to be a challenge, it never ceases to be new, because it is. And it’s always surprising every time you jump in. Does working with a big name director make you want to jump into the role? It’s always inspiring, and the common thread with the folks that I’ve worked with seems to be passion for the material, and a genuine interest in what the hell it is they’re making and doing, which is inspiring. Whether it’s Danny Boyle, Martin Scorsese, Steven Spielberg or Denis Villeneuve. They’re all questioning, they’re all discovering it moment to moment. They’re all just in love with the craft that they’re practicing. It’s exciting, it’s why they are who they are, they make you inspired to want to do the best work that you can. You show up excited to meet them, and you’re like I can’t believe I’m with this person, and then you start talking, and you combine your minds and collaborate and you want to make the best thing you can. I've felt really lucky, and I hope the good fortune continues. It is quite a resume you’ve built. Do you feel there is special power to supporting acting? Are you also looking to do more lead roles? Uh, yeah, sure. Whatever comes my way. It’s not like I’ve chosen a genre or anything like that. But there have been a lot of great actors who have done just as great supporting work, like Philip Seymour Hoffman. Sure, sure. But he was the master of everything he did, as far as I’m concerned. Watching anything he did, whether it was a small or large thing. [As a supporting actor] you really are sort of tapped to come in and provide a certain energy, or cover to a story. And I’m glad to provide that as much as I can, particularly with artists that I admire. I want to work with the best people out there, and to have the largest challenges that can be thrown at me. Whatever that is, I’m open to it. It’s telling that they all want to work with you. Do you particularly like talking about the process of acting? I think sometimes if I’m on a set, for instance, I’d much rather do as opposed to talk about certain things. I find that, providing an idea going into a scene, to perhaps give yourself a number of different tactics or actions that you may want to be playing, or ideas in how a scene could be ... it’s best to just show the director as opposed to necessarily talking too much about it. Because in the end, that’s where you can actually see the difference. You can hypothesize until you’re blue in the face and speak eloquently on something, but it doesn’t matter if it doesn’t show up. And I like the surprise in the doing it, as well. I mean, I’m one who likes to talk about acting. There’s a spontaneity that exists on movie sets which is something of your first impression on a particular day. Which you ideally would love to be able to capture, if it’s one of those aspects of the scenes that you’re making on that day. I love being surprised and I love surprising myself. And as they say, if you surprise yourself then you surprise other people. And the more interested you are and the more you can do that. You have a full character in the movie, and the monologue at the end is a type of surprise. How did you approach that passage, rhythmically? There’s a musicality to it. Yes, there is. That’s the beauty of Andre Aciman’s writing. And it was taken almost verbatim from the novel, so there’s little I had to do with that, the musicality of the language. But I did have the benefit of living with it for almost the entire time we shot the film. I had the benefit of shooting this story in chronological order, so as I got to know the actors and as my character watched the other characters going through what they were going through, the text that had been given to me, I had a lot of time to live with it. To try it a million different ways in private and let it sort of reverberate for me in different ways. Until the day, when I was just ready to give it a whirl and see what would come on that day. It could have been different the following day. And we did maybe two or three takes of it from different angles, and we just let it be what it was. There were probably more emotional takes we could have done. But I think, wisely, Luca decided to choose the one he chose. So yeah, I had the benefit of living it with it for some time. And letting what it had to offer reverberate with me. Was the set as laid-back as the movie is? What was the energy of the set? I don’t remember for how long we were there, as I wasn’t there on set everyday but I was present for a lot of it. There was a great sense of buoyancy in what Luca wanted the whole experience to be for everybody. Not just in the storytelling but in the doing of it. And I think it was just a wonderfully, lovely environment for lack of a better word. We laughed a lot, we enjoyed our time together. The film is a really wonderful keepsake of making the movie, which is something that I’m so happy about. Because sometimes making films is hard and complicated, as was this one, in different ways. It was a great keepsake and I think that’s because he had these ideas of how he wanted the movie to be. Allowing it breadth, allowing it lightness, allowing it humor. Generosity, and compassion. All of that. All of that was a part of the filmmaking and I think it shows. It’s a very human thing. I think we all wonder about those paths in our lives that we’ve had. What we’ve decided to act upon, what we haven’t acted upon. Those moments that we think about in our lives and you think, I wish that moment were back again. I could live in that moment for a huge amount of time. I wish I had done this, I wish I hadn’t done that. There is regret in the movie. In that sense, Professor Pearlman has lived a life that in some ways, he may have touched upon. The kind of weighty love that Elio is feeling, but may not have made the same choices. 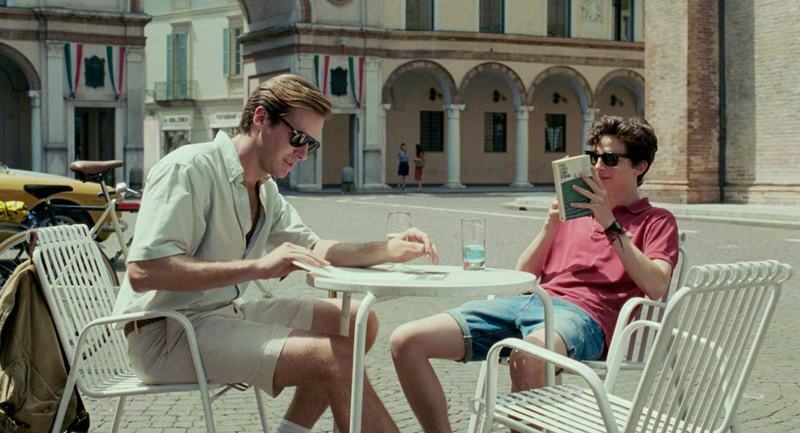 We don’t know what Elio does, necessarily. I think that lives in all of us. Are you a more glass half-full or half-empty kind of person? Me? I can’t help but be optimistic. As pessimistic as I can get, and as bitter and angry as I can get, I can’t help sensing, I think, a great sense of optimism. About how beautiful the world can be. I get that from my wonderful parents, their sense of love and humor. I’ve inherited that. It’s a hard time to be alive in this environment right now, in this country and in the world. Not to say that any other time can’t be more complicated, because everyone experiences their own ups and downs. But I’d like to believe that we could all love and help each other in this perverse and fantastical experience we’re all going through. So why not try to help each other, as opposed to making it more difficult? "Perverse and fantastical" is a great way of putting it. It’s all absurd, what we’re going through. What we’re going through every day is so absurd. But how fabulous that we’re actually alive for a while? And why not make the most of it. We don’t remember that enough. I certainly don’t. Even as someone who is optimistic? If I can be a part of reminding people how wonderful life is, in one of my more optimistic moments, then all the better. I get as down, if not more so than anybody else that I’ve ever met. But I just want to hold onto the good moments a thousand fold, as much as possible. I want to laugh with people, I want to have a good time with people. I would love to be a free and open spirit. I think one of the difficulties of adulthood is in the process of learning things and the slings and arrows that get thrown in our way affect us and change us. And we carry our scars with us. As we get older, it becomes more of a challenge to not remain open to share life with people. I have to constantly remind myself, and surround myself with people who remind me not to take things so seriously, or just to remember how good things can be. Do you think any of that is informed by your profession? Do you think your outlook would be different if you were just a lawyer, out in the world? Absolutely. I don’t know that I could do anything else, now that I think about it, other than be an illustrator or a painter, which is something that I do in my spare time. I paint, draw, sketch. Some day, maybe I’ll get a chance to show it. I’d love to do more of it. Yeah, we all bring our experiences with us. And who we are affects the choices we make. And I love that at the best of times, with the best of material, perhaps I can make people laugh or make them think. Or we can think that we’re perhaps not so, our individual experiences are not so separate from each other. I’m always looking for that, honestly. I mean, part of the reason that I got into acting in the first place was seeing Derek Jacobi in “Hamlet” on the BBC video tapes and I was in English class. And he was raging against the world as a young man, how unfair life was. He captured my imagination. I guess it tapped into whatever kind of anger or ferocity or rage that I had at the experience of being alive. But I also love bringing joy to people. So I think I fall between those two. Or at least, my passion for doing what I do falls between wanting to make people feel something desperately and hopefully making them laugh in the process. Next Article: Larger than Life: Dan Stevens on "The Man Who Invented Christmas" Previous Article: A Celebration of Life: Adrian Molina on Pixar's "Coco"